St. Charles School has a strong history of service to our community. Our school children are taught early that they have been blessed with many gifts and that they are called by God to share these gifts with others. They participate in a wide range of community service activities that reflect the Catholic Social Teachings which support our Christian values of charity and a sense of justice. 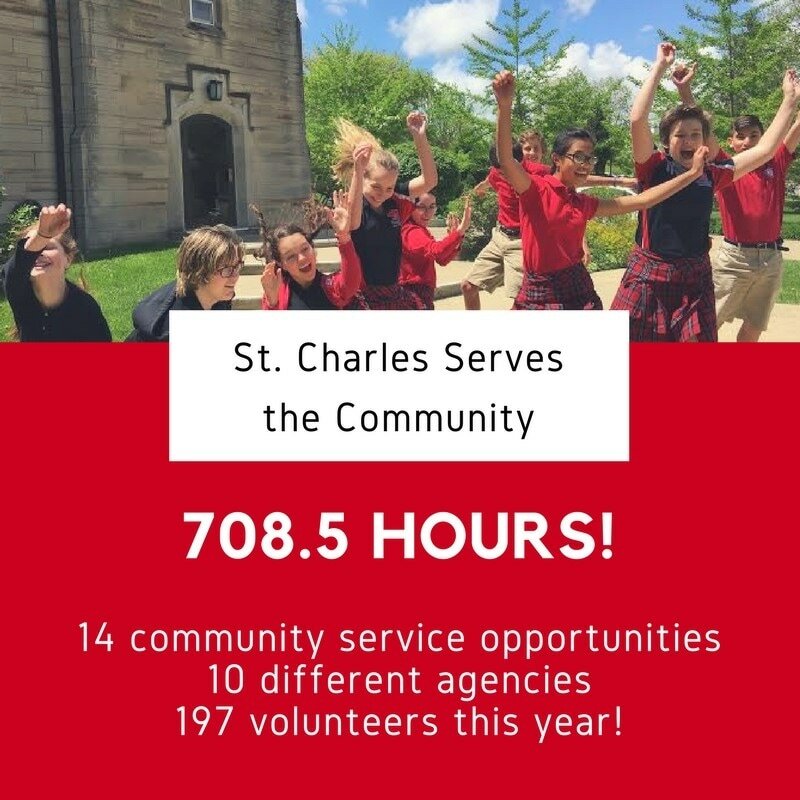 St. Charles Serves the Community (SCSC) originated in 2014 with the intent to encourage students and families to volunteer in the Bloomington community. A SCSC committee member identifies the volunteer opportunity, publicizes it in the school and parish communities, and leads the volunteers in the service. Last school year, SCSC provided over 165 volunteers in the Bloomington community. They spent almost 400 hours helping including serving for Hoosiers Outrun Cancer, Hoosier Hills Food Bank, Pack the Bags, Salvation Army bell ringing, and Mother’s Hubbard Cupboard. In addition to students and families volunteering together, the faculty and staff also serve their community in those same events. The SCSC committee is an active group of dedicated individuals who take pride in encouraging stewardship by members of the St. Charles community, and would welcome the involvement of others who have the same drive. Contact Terri Schonhoff if you would like to be involved, or know of a need of whom we can serve.